How can I insert images on the thank you message and email notifiers? How to proceed to insert images in the " thank you" screen and the message that is sent via e - mail ? 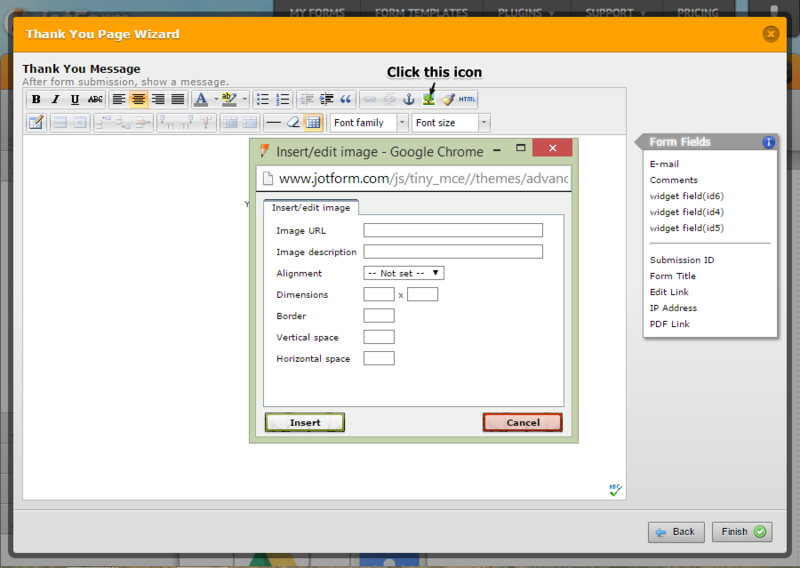 To insert an image on the Thank you message, you need to open your form in the form editor then click on Form Style and on the Thank You icon. 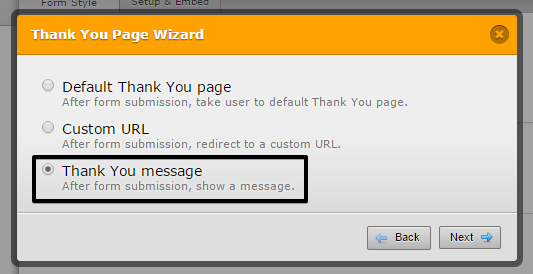 It will open a wizard in which you need to select the "Thank you message" option. 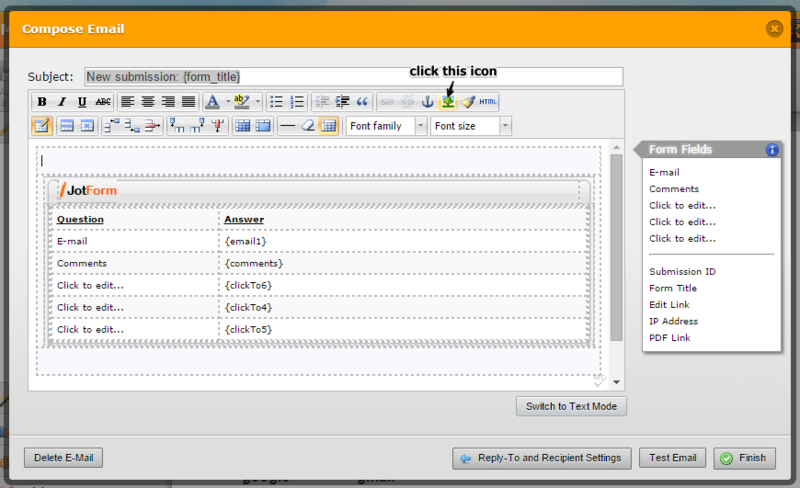 Then you can modify the message on the editor and add images by clicking in the tree icon. For the email notifications the procedure is similar, but instead of clicking on the Thank you icon, you need to click on the Email Alerts icon. Then you have to select the notifier that you want to modify and the same editor will show up. Again, you need to click on the tree icon to add an image to the notifier.